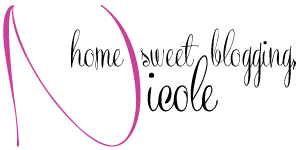 It's Wednesday which means that we are half way through the week! How exciting is that!? 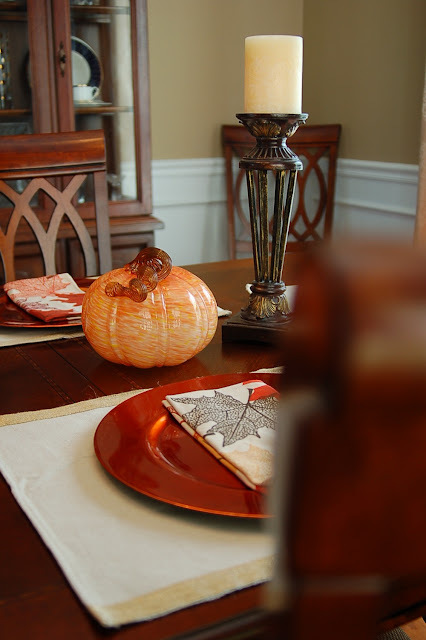 There has been a lot of excitement with the Fall tour and I'm so happy to share the gorgeous dining room today! 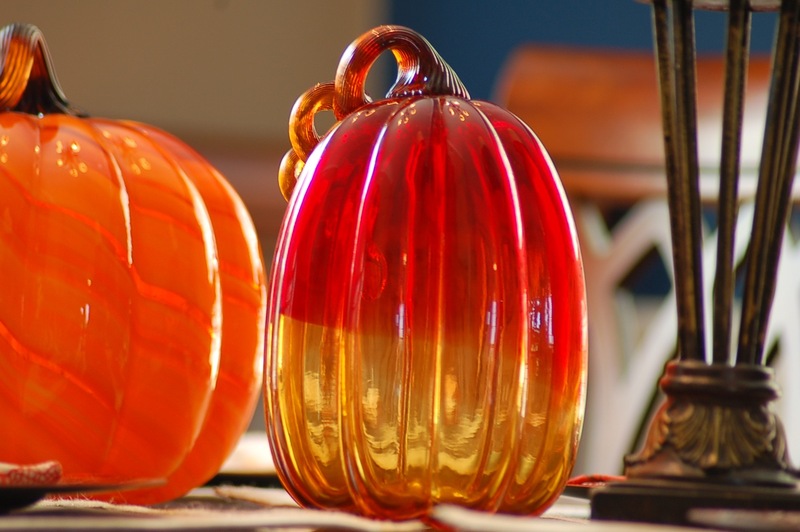 Glass pumpkins make for the best Fall centerpiece ever, don't you agree? 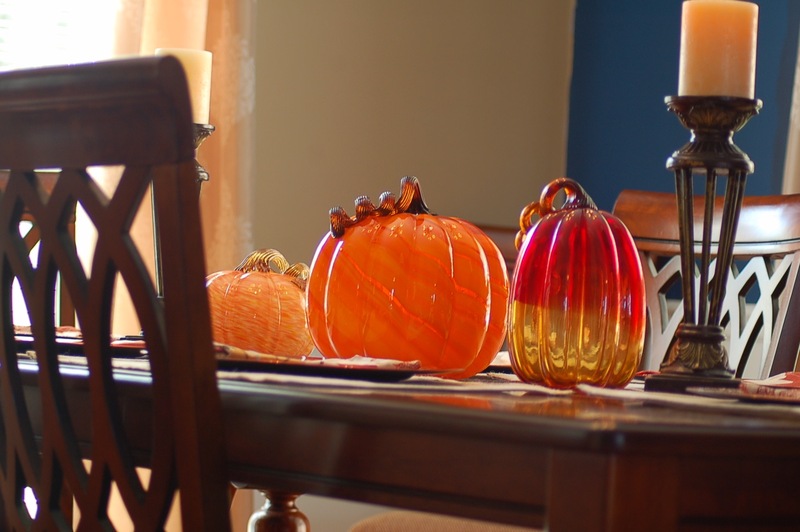 I love the stunning colors each of the pumpkins have and bring to the table. The best place I have found these pumpkins is at Home Goods. They always have the most beautiful fall decor and especially the perfect pumpkins. 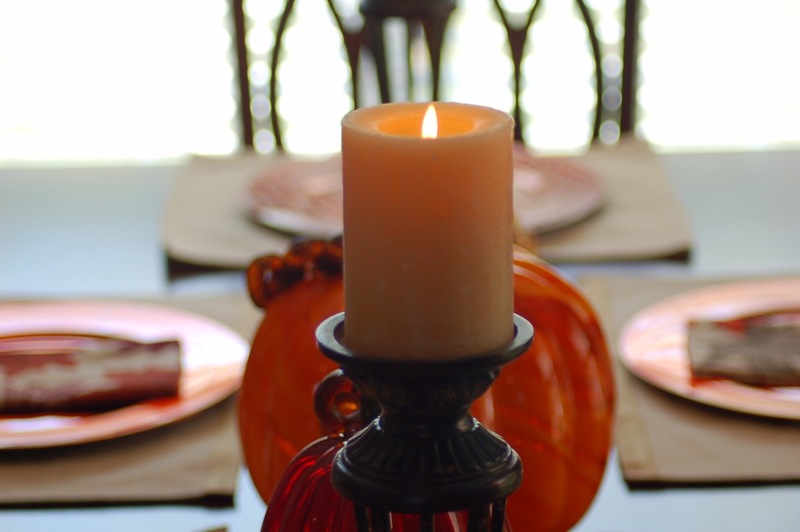 With any formal centerpiece in the dining room, I love to add candlesticks. 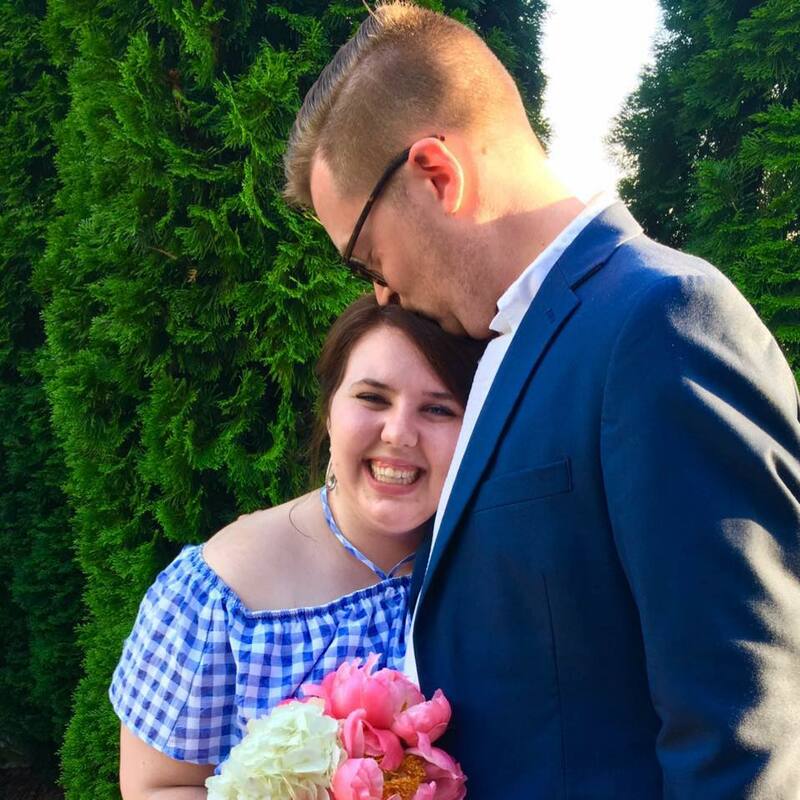 They add such a perfect mix to beauty to the table. 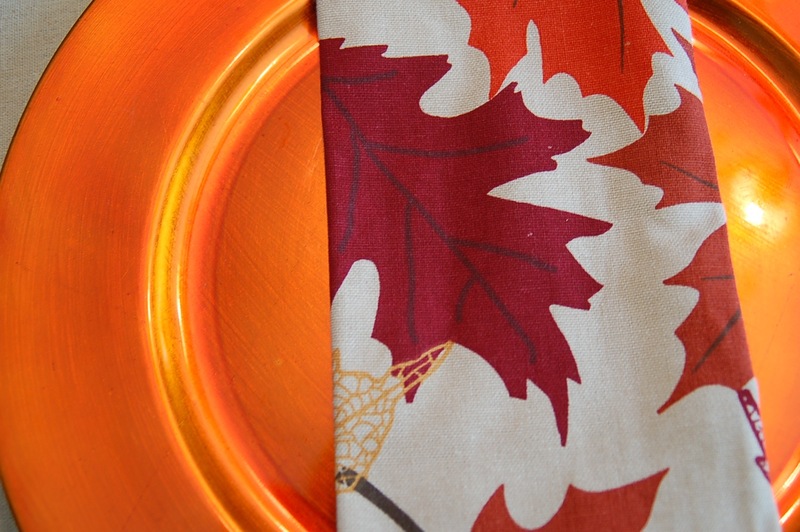 For the place settings, I went with classic fall colors like oranges, reds, and browns. I love the mix of textures between the placemats and the chargers. Perfect mix for a table. I scored the placemats in the Dollar Section at Target so I wasn't able to link them unfortunately. The head table place settings have an awesome metallic crocodile chargers and a sightly different placemat. 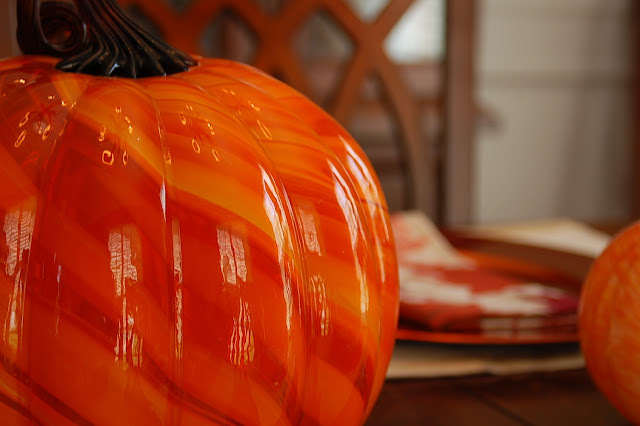 When it comes to a fall table, don't be afraid to mix patterns, colors, or textures. But keep them appropriate for the fall season too! For a dining room, my advice is just to have fun with it! Make it as fun or crazy as you wish! 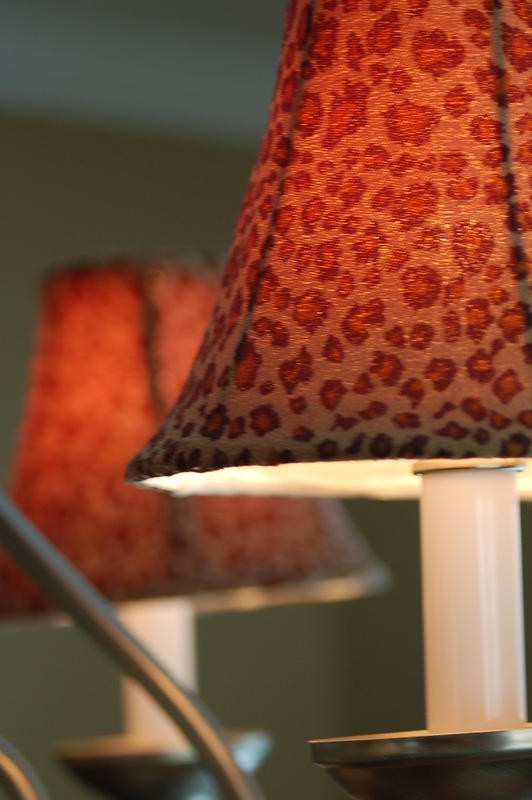 Of course I had to include my absolute favorite pattern...leopard! 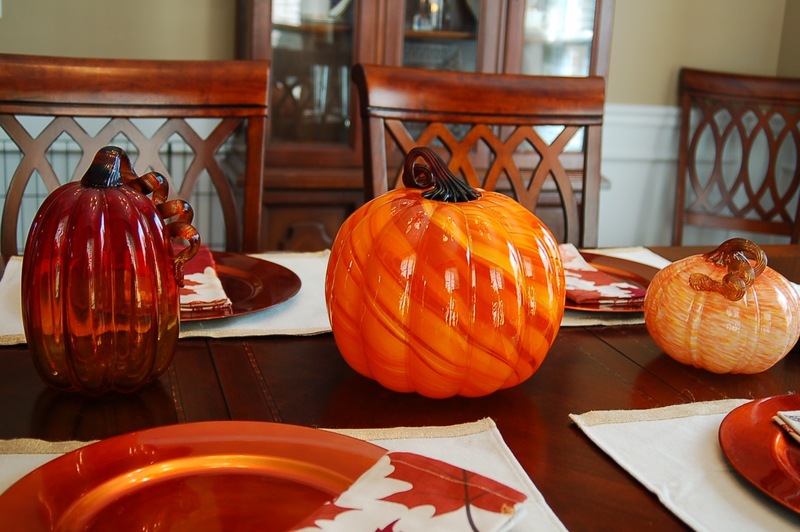 What's your favorite way to create a fall table? Hope everyone has the best Wednesday ever!